Enjoy an evening of stories penned by Duncan Battman to delight and enthral you. 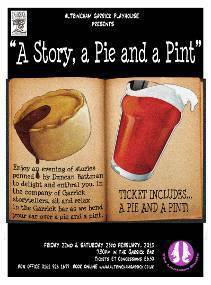 In the company of Garrick storytellers, sit and relax in the Garrick bar as we bend your ear over a pie and a pint. a pie and a pint!